Brain Harmony serves families nationwide. Brain Harmony sees clients in a clinic setting as well as at home through its unique video coaching program. We can serve anyone who has access to the internet. We pride ourselves on finding what works best and helping families get access to those services. Schedule a Complimentary Consultation today to learn how Brain Harmony may best support your family. Clinic Appointments may be requested at one of our two clinic locations. It is not necessary to schedule an in-person visit at a clinic to get started with a Brain Harmony program. If you live close to one of our clinics or plan to travel to the area to see us, please complete the form and a member of the Brain Harmony team will contact you within 48 hours to schedule an evaluation. When completing the form, please let us know if you are traveling from out of the area so we may coordinate your clinic visit with your travel plans. This is Brain Harmony's most widely used program for our friends with most types of neurological concerns. Combining the two therapeutic modalities of SSP and the Focus Program along with Brain Harmony protocols drives results. Brain Harmony’s Home Program with the Focus Program and SSP is the most often prescribed program for our friends with learning and performance difficulties. We have found that when SSP and the Focus Program are combined with Brain Harmony’s protocols, great things happen! This unique program delivers the greatest outcomes in the shortest amount of time. Each program is customized to an individual’s needs. We begin with SSP which calms the social and emotional state. This allows the client to be better available for the therapeutic input of the Focus Program. One week following the completion of SSP, you will begin your Focus Program. 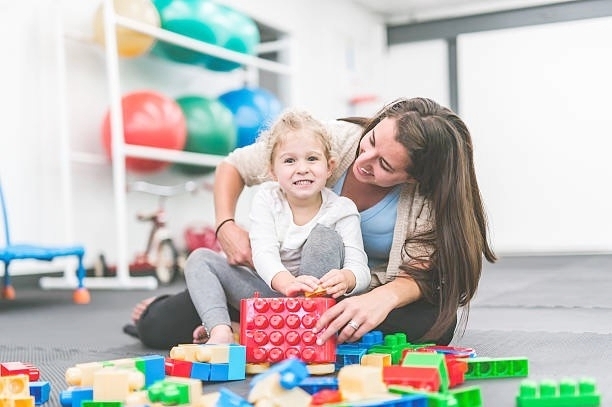 A Brain Harmony therapist will support you and your family throughout the entire program completing an initial baseline assessment of developmental status, analysis of reflexes, ocular motor function and any other areas of concern throughout the program. Brain Harmony’s Home Program 2 is the same as Home Program 1 but without beginning with The Safe and Sound Protocol (SSP). The Focus Program is the real brain changer! The Focus Program retrains the parts of the brain involved in learning, communication and movement. With this system we will craft a listening program specific to your family member. The Focus Program comes with over 240 hours of therapy. We will support your family listening through video conferencing with a Brain Harmony occupational therapist. A Brain Harmony therapist will support you and your family throughout the entire program completing an initial baseline assessment of developmental status, analysis of reflexes, ocular motor function and any other areas of concern throughout the program. Brain Harmony’s Home Program 3 only includes Dr. Porgeous’ Safe and Sound Protocol and coaching with a trained Brain Harmony therapist. The Safe and Sound Protocol is a 5 day therapeutic modality that reduces auditory sensitivity but, more importantly, calms the parasympathetic nervous system. Most friends with any type of learning or performance challenge, small or large, may be in a constant state of fright or flight. They are constantly on edge or anxious. By applying SSP, we calm the social and emotional state thereby allowing our friends to be better available for therapeutic change. Interestingly, when we calm the “nerves” we often see lots of gains after SSP. Gross motor, fine motor, improved eye contact, improved engagement and reduction of auditory sensitivities to name a few. All after listening for one hour a day for 5 days in a row.